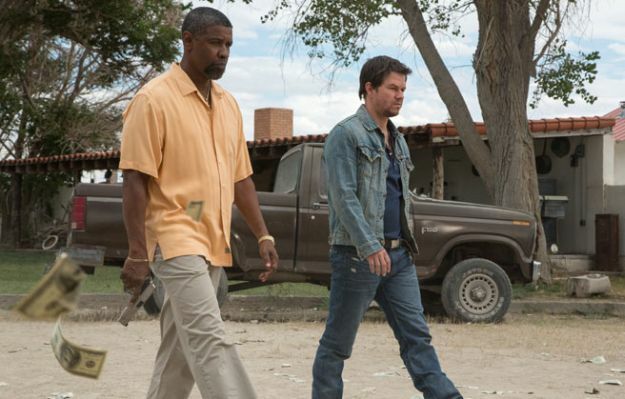 Updates on the upcoming action movie 2 Guns have been pretty quiet for some time, but now the first official still from the film has finally been revealed. Check it out below the synopsis. Wahlberg and Washington are joined by Edward James Olmos, James Marsden, Paula Patton, Fred Ward, and Bill Paxton. The original BOOM! Studios comic book was written by Steven Grant and illustrated by Mat Santolouco. The August 16, 2013 release features a script by Blake Masters and is directed by Baltasar Kormakur (Contraband).